Quality is the main value of the Olives and and Olive Oils produced by Goya Spain. This quality is strongly endorsed by the international certifications, official tasting panels and competitions and prizes awarded by consumer organizations. ISO 9001:2015 regulation. Quality reference at a global level. With over one million certified companies. Quality and Food Safety Policy (spanish version). Scope of the Quality Management System (spanish version). BRC Issue 7. Goya Spain has been certified by the British Retail Consortium (BRC) since 2012 with a Grade A and we obtained Grade AA in the same year as its establishment (2015), and revalidated in 2016 and 2017. The British Retail Consortium (BRC), the most demanding certification in the world, sets the levels of compliance of the company with regard to health and hygiene and food safety requirements for the handling of food for human consumption. Goya Spain Team is highly qualified in this international certification. IFS Version 6. Goya Spain has the International Food Standard (IFS), an international regulation developed by the German Federation of retailers for auditing on suppliers of foods, which sets the levels of compliance with regard to health and hygiene requirements oriented towards the handling of food for human consumption. Kosher Certification. Since 2006, Goya Spain has had the Kosher quality control certification in its factories. C-TPAT. Safety regulation implemented in the USA, with the objective of safeguarding the whole distribution chain, thus preventing international trade movements from serving as a tool for terrorism and illegal trafficking. USDA Organic Products. Certification for organic Goya® products, with the corresponding seal on the label. JAS Certification. Certificate awarded to Goya® products by the Japanese Ministry of Agriculture, Forestry and Fisheries. CAAE. European certificate awarded by the organization specialized in Ecological Production. ChefsBest. American seal identifying and honouring food products with the best flavour, in order to support the companies that produce them and the individuals chosen to select them. 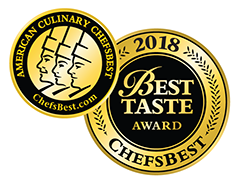 Outwith this concept, ChefsBest is part of an organisation that also provides assistance to consumers, who it sees as professional chefs, teaching them to discover the flavour that food should have. Goya® products obtained uninterruptedly this seal of quality since 2007, and since 2014 to the present with the category “Excellence”. NAOOA. 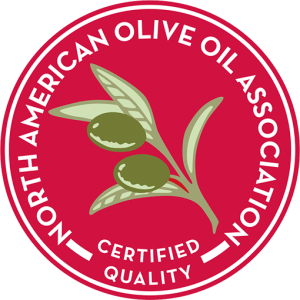 Quality seal for olive oils, granted by the North American Olive Oil Association. This quality seal is the only olive oil certification that takes off-the-shelf samples and tests them to check the full range of purity parameters in the global commercial standards established by the International Olive Council (IOC), an authorised organisation recognised for over 50 years as the body for establishing quality standards at a global level for the olive oil industry. Laur Konsumenta. 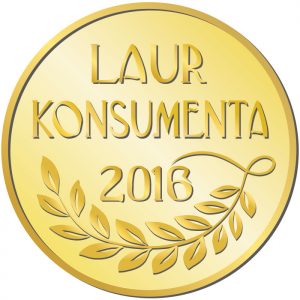 “Laurel of the Consumer” is a unique award, as it is granted to the most prestigious brands and products, but is above all an expression of recognition and popularity among Polish consumers. For clients, it strongly determines decision making in purchases. This quality seal selects the product that clients trust. Goya® products have been awarded this yearly seal since 2011.
iTQi. 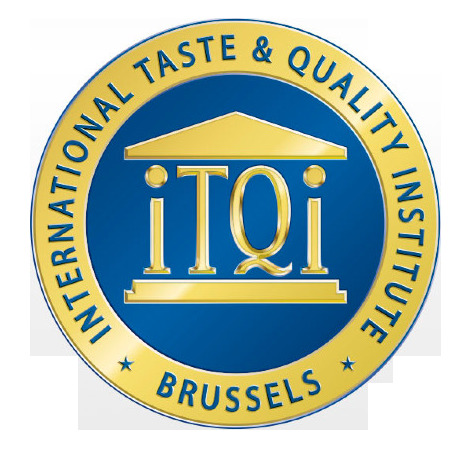 The International Taste and Quality Institute (iTQi), with headquarters in Brussels, is the leading organisation dedicated to tasting and promoting food products with a superior flavour. Since 2012 Goya® products have the quality seal “Superior Taste Award”.